The Kansas Children’s Discovery Center ended up being a lot more than what we expected. This day-trip included our grandkids, so we had filled the itinerary with places we felt would be kid friendly. Our morning had been historic, and lunch was a visit to a local hangout. Now we had arrived at the place we hoped would offer a little interactive fun, with an educational edge. 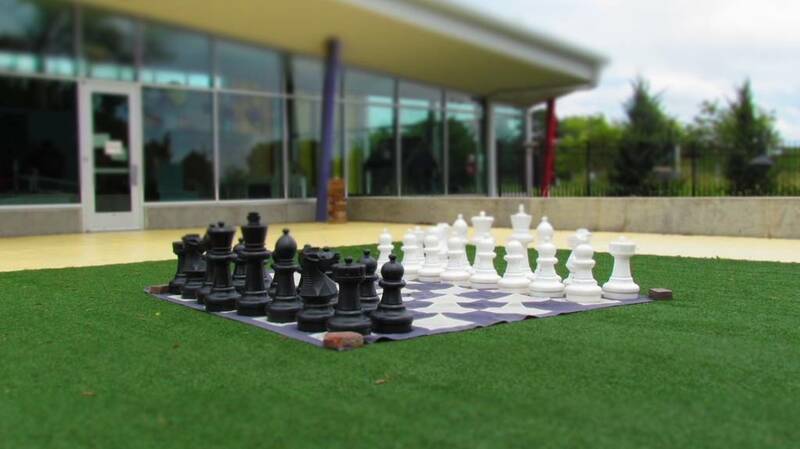 The Children’s Discovery Center is a premier interactive museum. The first area the kids found was the Careers section. Here they could pretend to run a lemonade stand, which was quite popular with our granddaughter. Of course, the price she charged me for a glass of lemonade would vary from a penny to $10,000.00. After she was finished fleecing me, it was time to move on to the auto repair exhibit. Here kids can pretend to be mechanics, as they change tire, mufflers, filters, and do other maintenance tasks. Other businesses include a doctor’s office, and a bakery. Even us older kids get drawn in to the fun, and end up being either customers or employees. In the same general area we found Moneyville, where the real life facts behind budget balancing, the real cost of credit, and the value of saving are highlighted. After a while, the kids began moving into the science arena. Now at the Kansas Children’s Discovery Center there are few real dividers of areas. Instead they have a mostly open floor plan, which allows a better flow through the space. The science exhibits include a plasma globe, which are just fun for everybody. Air mazes are created with tubes, and the goal is to watch how air movement pushes objects through various paths. The objects are squishy balls, which make the attraction even more fun. 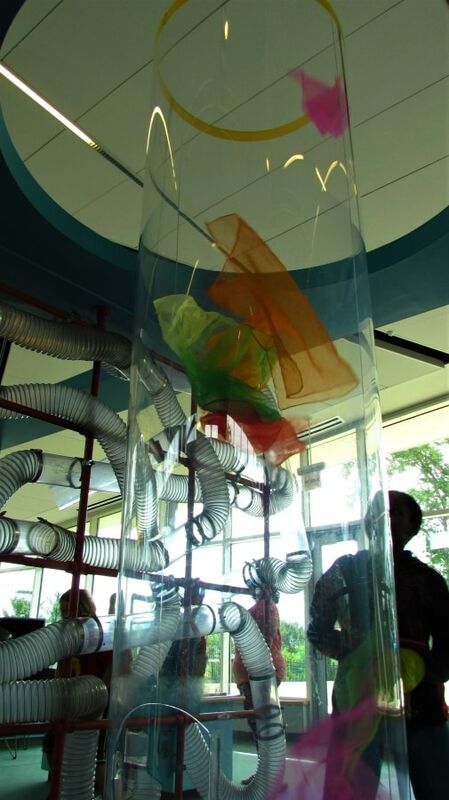 A tornado tube can be tested with handkerchiefs, and is a fitting display in the land of Oz. One of the Center’s staff members invited our grandkids outside to test foot powered rocket launchers. Made with empty two-liter bottles, a good stomp is the power used to send paper rockets sky high. They played at this for a while, and then we were ready to investigate more of the outside exhibits. 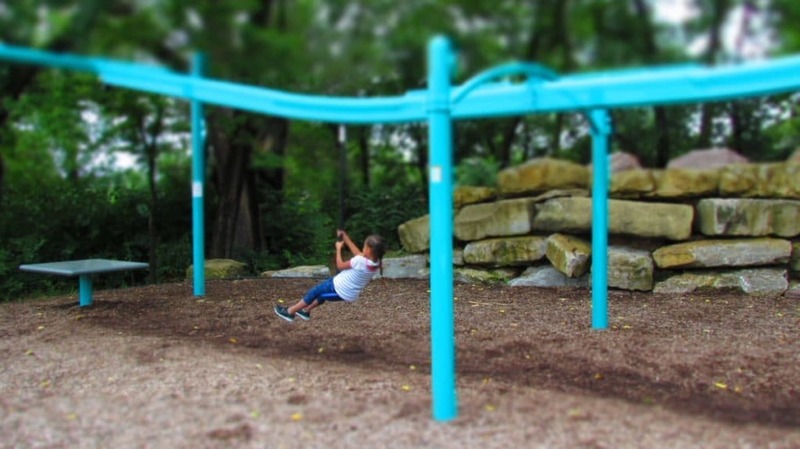 A nature walk led to a wooded area filled with play equipment. Further down the walk we discovered a musical park filled with unique instruments. A variety of xylophones and metal drums can be played by visitors. This area was extremely popular, and we were treated to a miniature performance. We followed the path back toward the center, and came to the kid’s zip line. This was another favorite attraction, and we enjoyed watching the kids zipping back and forth. In between rides, we found an oversize checker/chess set. Crystal played a game of checkers against our granddaughter, but an opening on the zip-line called an early end to the match. We had driven through rain in the morning, but the afternoon had been limited to just clouds. Suddenly we were once again plagued by drops. Time to move back indoors. We still had at least half of the building to discover, although our time at the Kansas Children’s Discovery Center was beginning to run low. The grandkids decided to skip the arts room, which features large glass panels and water-based paints. These two items can be combined to create individual masterpieces that are visible to all around. They decided to head to the Build area, where they found all of the tools and supplies needed to create their own type of art. 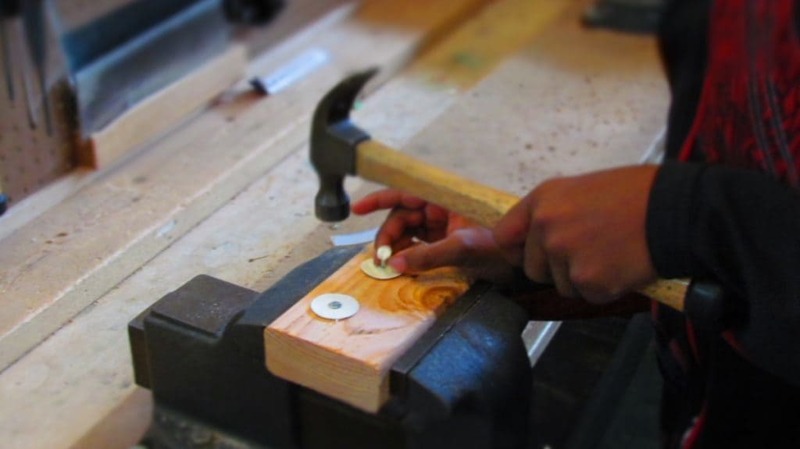 A wooden block, nails, hammer, and a few odds and ends are coupled with their imaginations. The end results are keepsake masterpieces that they can take home. 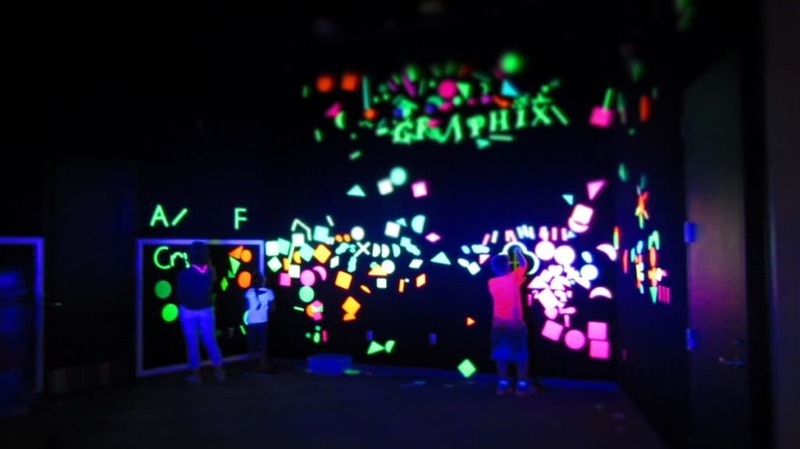 The last area we explored was the black light room called Flo-Graphix. An assortment of fluorescent letters, numbers, and geometric shaped tiles can be attached to the black fabric board. This opens up a wide range of possibilities, and it was fun watching the grandkids play, as well as Crystal. I let them all mess around, while I spoke with some of the staff members. It was clear that they all truly enjoy the opportunity to interact with the visitors, and helping spark the imaginations and education of the children. We decided that this place is definitely one of the top interactive children’s museums in the state of Kansas. Of course, if you follow our Instagram feed, then you saw a sample of the fun. (you can connect here> Our Changing Lives)We highly suggest a visit with your kids or grandkids.